The grave shortcomings in the treatment of emotional illness as well as the necessary solutions are described in detail in the latest publication of the American Mental Health Foundation, AMHF, Crucial Choices—Crucial Changes: The Resurrection of Psychotherapy. For many decades the Foundation has clearly pointed out the measures that are necessary to greatly advance the quality of psychotherapy and, at the same time, to make the cost of such treatment considerably less expensive and more affordable. The Foundation has developed far more effective plans for the selection and training of future psychotherapists as well as greatly improved methods in individual and group psychotherapy. And yet sadly, on the whole, the field of mental health has been stagnating for the last half century; some areas have even been deteriorating. Consider this: the advances made by the Foundation, and their potential benefits to the public interest, so impressed Richard Weil, President of the National Mental Health Association that, in 1955, he resigned from that post in order to assume the presidency of the Foundation. However, even though decades have passed, and despite the unceasing efforts of the Foundation, the mental health situation has not improved. Considerable knowledge to greatly enhance the quality of treatment already exists. It is due to the deplorable shortcomings of the education and training of psychotherapists that such essential knowledge is not made available to them. Most of them ignore the fact that such information is available. More and more facile, easy-to-learn and easy-to-practice treatment methods have become the norm and their advocates occupy academic positions of prominence. Their writings are widely acclaimed by other academicians and by a majority of psychotherapists. As stated, the present system of mental health education is vastly ineffective and cumbersome. In order to become a psychotherapist, the future practitioner needs to undergo extended studies in medicine, or psychology, or social work. Yet, these disciplines do not include a significant training in psychotherapy. Thus, subsequent training in this craft is necessary. These specialized studies, while including an inordinate amount of nonsubstantial course work, are ruefully inadequate as they are sadly lacking in indispensable clinical work and supervision. Here it must be stressed that knowledgeable teachers and supervisors with solid clinical aptitude and expertise are quite difficult to find. Secondly, the selection procedures for admission of candidates for training are utterly unsatisfactory. Persons who do not have even minimal talent for this profession will often be admitted without any difficulty. See section 9 : “The Critical Need for Improved Methods for Selecting Future Psychotherapists”. Despite the immense amount of literature on psychotherapy and mental health, a considerable number of professionals simply do not command the necessary knowledge to distinguish between what is valuable and what is not and what the best avenues for the future might be. As far as the patients are concerned, they face formidable obstacles to be able to determine what is best for them. Basically, it is a matter of chance and circumstance to which therapist they have been referred. Over many decades, the professionals at the Foundation have studied 300 well-known writers, some 50 of them being reviewed in Crucial Choices—Crucial Changes. As can be noted therein, a majority of those reviewed and analyzed were found unsuitable for the exercise of the profession of psychotherapist. To repeat: essential knowledge to greatly improve quality of treatment does exist and so do vastly superior methods for the selection and training of psychotherapists. Surely one would expect that the mental health professions would enthusiastically rush to learn about these advances. Unfortunately, the opposite is true. All too many efforts made by the Foundation have remained without results or have met with insidious opposition. The same fate happened to others who tried to improve training in order to obtain more effective treatment of patients. Let us refer to one major and far-reaching example: the establishment of a special curriculum to create the profession of psychotherapist at the Berkeley and San Francisco branches of the University of California in the 1970s and 1980s by Professor Robert S. Wallerstein. The project collapsed due to the opposition of the defenders of the status quo. after having spent many years and much effort to arrive at their present positions, most practitioners are emotionally unwilling to admit that their present knowledge may be quite inadequate. these professionals benefit from their present positions as teachers and/or practitioners, and fear that newcomers selected on the basis of aptitude and with better training than theirs would be a most unwelcome competition. Mental health professionals trying to defend their turf are no different from people in other occupations. Many professionals will still remember the bitter struggles between psychiatrists and psychologists when the latter fought to obtain licensing by the states. Fair, open-minded discussion by both sides was rare, rationalization and venomous attacks were abundant. Self-interest was evident but, claims to the contrary, the interest of the patients were seldom a point of major consideration. The book also clearly describes what aptitudes and knowledge a psychotherapist ought to possess. The author, de Schill, calls attention to a number of highly qualified psychotherapists who have greatly contributed to the advancement of patient care. Some of them have actively supported de Schill’s efforts, like Stanley Lesse, editor of the American Journal of Psychotherapy, who became co-editor of the companion volume of Crucial, entitled The Challenge to Psychoanalysis and Psychotherapy. Solutions for the Future. After Lesse’s death, Professor Serge Lebovici of the University of Paris, one of the most respected psychiatrists and psychoanalysts in Europe, assumed co-editorship. Crucial Choices—Crucial Changes received numerous excellent notices among progressive-minded authorities in the field who have the interest of their patients at heart. See section 1: Significant Advances in the Treatment of Emotional Problems. De Schill’s lifetime efforts are imbued with his rare talent for establishing connection between the manifest and the unconscious components of emotions, a process that includes the expert use of dreams. These efforts are in stark contrast to the sterile approaches of a great many mental health professionals who, as can be readily noted in their writings, dehumanize and simplify the intricate realities of the human psyche under the pretense of presenting a “scientific” approach. In the following pages, we will encounter a pattern of attack by defenders of the status quo who, in their reviews of Crucial Choices—Crucial Changes, carefully avoid facing the fundamental points made in this volume. Instead, they offer a veritable avalanche of utterly nonfactual denouncements and fabrications. It is understandable that the beneficiaries of the status quo feel exposed and threatened by this book. According to the standards advocated therein, they would most likely not be considered acceptable as practitioners and teachers. The above-mentioned reactions are not surprising if one realizes that Dr. de Schill is virtually alone among mental health professionals, who, in order to protect the interests of the patients, bluntly exposes on such a wide range the shortcomings and abuses extant in the profession and the present system. Crucial contains the only existing expert and thorough examination of an important cross-section of the most well-known writers in our field. It documents the widespread ignorance and lack of ability of many professionals who are admired as “authorities.” The Chairman of the Foundation in the Foreword emphasized that “Dr. 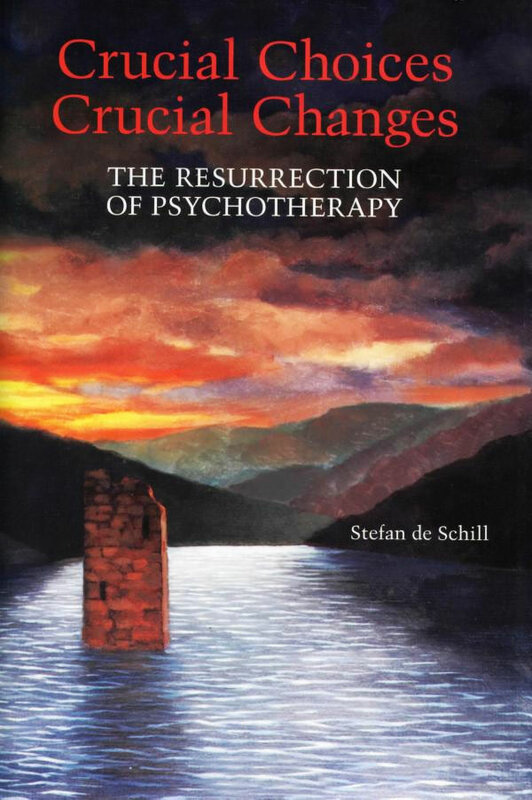 de Schill deserves much credit for speaking up without hesitation concerning matters that most would prefer to forget.” The aim of this scrutiny is to present the remedies necessary to greatly improve the quality of psychotherapic work. The comments, prepared by members of our Professional Board, regarding the hostile reviews discussed below will, we hope, clarify the issues under consideration. Our comments present quotes from the respective reviews and state the true facts concerning the deliberate misinformation and falsifications contained in these quotes. Indeed, the insidious tactics of these reviewers are revealing in themselves. Additional understanding of their motives can be gained by examining their complete reviews, their writings, and their professional endeavors.